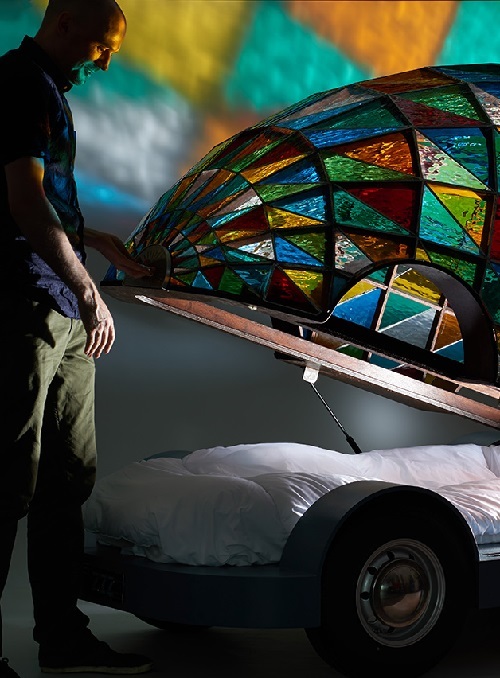 According to British artist, inventor and designer Dominic Wilcox, his Kaleidoscopic Stained Glass Car is the means of comfortable sleep and a mini church on the move. In fact this exclusive driverless car is a work of art, design, craft and technology. 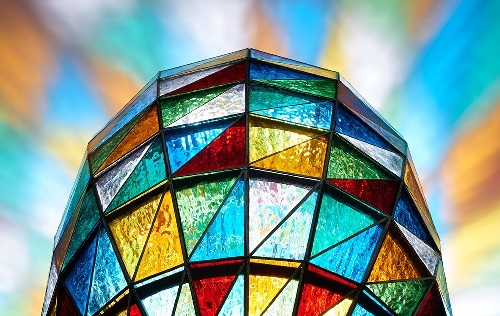 Noteworthy, it combines the latest technology and handmade glass. 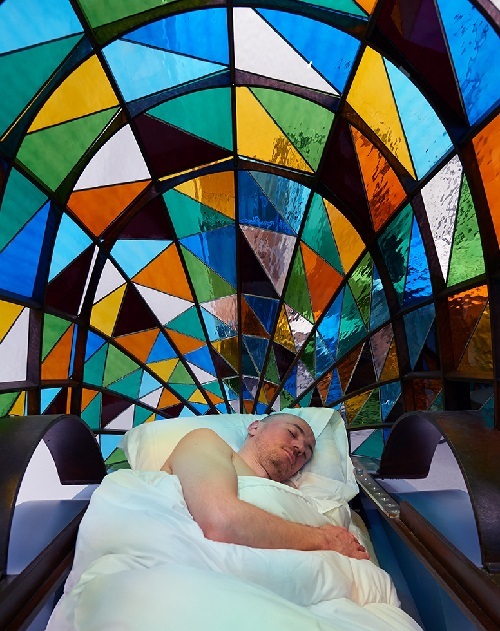 Meanwhile, inside this bright construction there is an ordinary bed, on which the passenger can sleep and rest until the machine takes him to the place of destination. 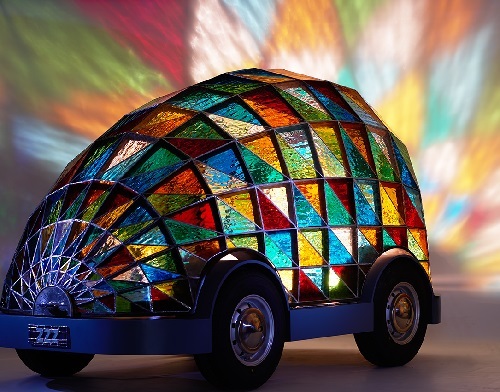 Also, Dominic Wilcox is sure such automobiles will be in high demand in some decades. It will be safely controlled and wisely managed by the car computer. 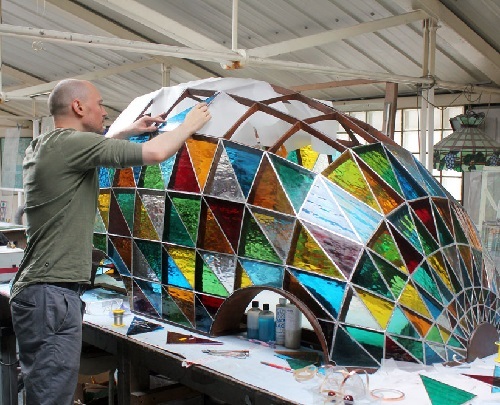 Born in Sunderland, UK, Dominic Wilcox graduated from the Royal College of Art. He creates innovative and thought provoking objects. “I propose that in the year 2059 it will be statistically proven that it is safer to ride in a computer controlled ‘driverless’ vehicle than to ride in a human driven vehicle. In fact in 2058 there were no collisions on the Digital M1 motorway where only driver-less vehicles are allowed. This means that driver-less vehicles will not require the typical safety equipment we see on current cars such as air bags and bumpers. We will simply require a living space on wheels. 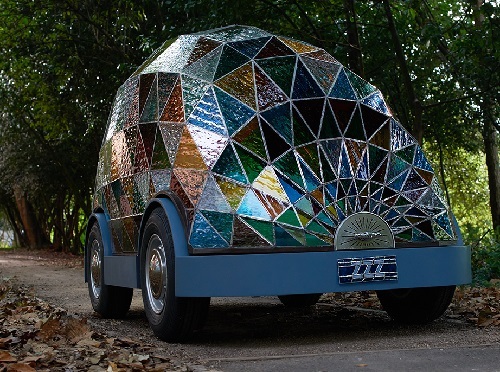 I am presenting one example of the type of vehicles possible and have designed a prototype for a driverless car made from stained glass. 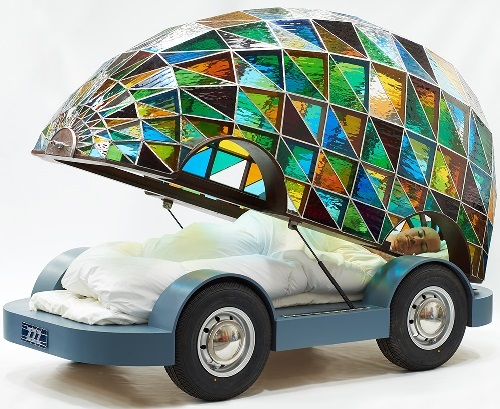 This vehicle is a single person ‘sleeper car’, the occupant can sleep on a bed while the car travels to the destination of choice”.